All items are guaranteed as described and authentic. I want you to be completely satisfied with your purchase. You may return an item for any reason within 5 days of receipt as long as it is returned in the same condition sent. No questions asked. I only ask that you return item insured, unaltered and well packed. Please notify us if you are planning to return an item. Email, text message or phone is the best way to reserve the items you desire. Unless agreed otherwise, we will reserve the items you request for 10 days to allow your check time to arrive. Failure to send payment for items you have reserved will terminate any future business with us. Send us an Email at ccrelics@ccrelics.com to let us know the items you are interested in. We will Email you back and reserve the items that you would like to purchase. Please call or text Rick Burton at (336) 830-1203 from 10:00 am to 10:00 pm EST to check availability and to place an order. Leave name and phone number and I'll return your call as soon as possible. 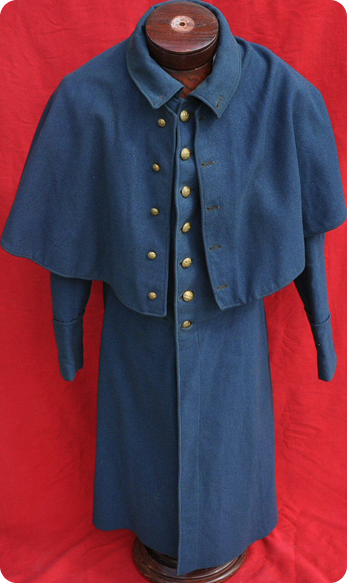 Shopping and ordering from Rick Burtons Civil War site is fast, easy, and convenient. My internet site gives you the opportunity to shop in your underwear. You don't have to find a place to park, jostle with crowds, and deal with clerks who are rude and cannot make correct change. Of course, just like the physical stores, you can browse without buying anything, and you are welcomed to do just that. But we feel that once you start “walking” through our store you will find some of those hard-to-find items you are looking for. When you do find that first item you are interested in you will only need to click on the "Order/Inquiry" Link. An email is sent to ccrelics@ccrelics.com with your order or inquiry about the item. We will contact you an let you know the status of the item(s) and/or answer any questions you might have. Shopping is that easy! We are more than willing to take personal checks but sometimes I may wait until the check clears before the item is sent. Money order/cashiers check are preferred. Paypal is available on most items, but in most cases I will need to add an additional 3% to the purchase price to cover fees they charge me to complete the transaction. Please make checks payable to RICK BURTON. We may offer a quantity of the same item for sale. Any offers concerning quantity will normally be posted within the description section for the item. I ship most items via UPS. I usually include the shipping cost in the price of more expensive items. Insurance is also included in the purchase price for more expensive items. Our insurance only covers shipments sent via UPS or FEDEX. Therefore please provide a physical address that UPS or FEDEX will deliver to. I am willing to use any form of shipment if you have special needs. Please let me know. North Carolina residences must include 7% sales tax. We know, that stinks. We keep an active "wants list" for our customers. Let us know what trips your trigger. We’ll keep an eye out and contact you when we see something that may be of interest.